John Kenneth Muir's Reflections on Cult Movies and Classic TV: Saturday Morning Cult-TV Blogging: Secrets of Isis: "Spots of the Leopard"
Saturday Morning Cult-TV Blogging: Secrets of Isis: "Spots of the Leopard"
In the second episode of Filmation’s Secrets of Isis, a student named Jenny Nelson (Debra Scott) confides to Cindy Lee (Joanna Pang) that she has a problem with her father. Mr. Nelson (Lou Frizzell) went to prison for the theft of diamonds, and now is out of jail. But Jenny has lied to present him an alibi when an insurance investigator checks in on him. Worse, Jenny discovers that her father's wallet is full of money that he shouldn’t have. Has Mr. Nelson relapsed into a life of crime? Should she tell the police? Cindy informs Mrs. Thomas (Joanna Cameron), her chemistry teacher, about the problem, and Andrea realizes this could be a job for Isis. She learns that Mr. Nelson is actually trying to clear his name, and is being framed by the aforementioned insurance investigator (Paul Jenkins). 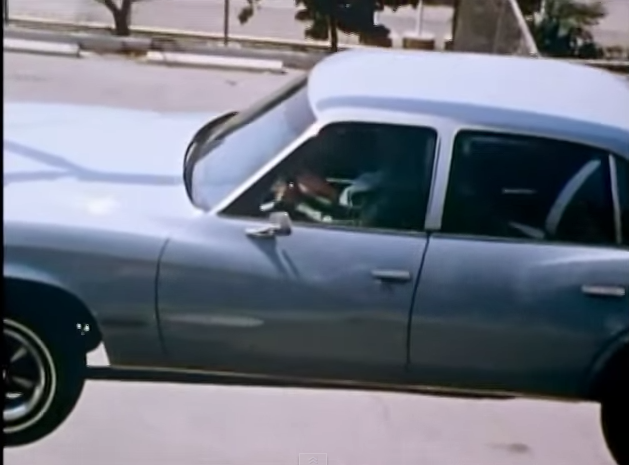 In the 1970s, there were basically two superhero TV series templates that could be followed. One was the relatively straight-forward Adventures of Superman (1951 – 1958) model, and the other was the campy, colorful tongue-in-cheek Batman (1966 – 1968). 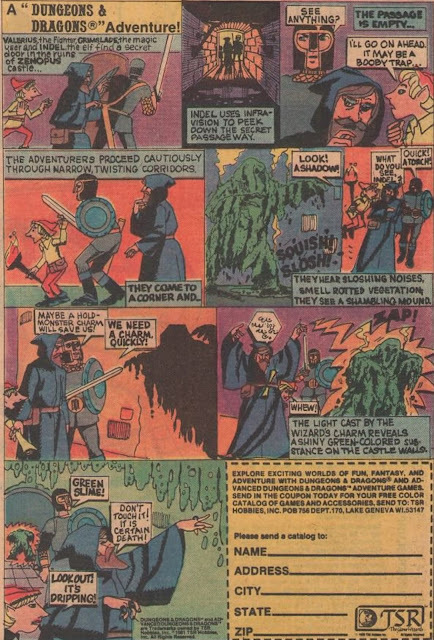 Series such as Monster Squad (1976) and Electra-Woman and Dyna-Girl (from the Kroftts) opted for the latter approach, whereas Filmation’s series, Shazam! And Secrets of Isis went or the more direct, straight approach. 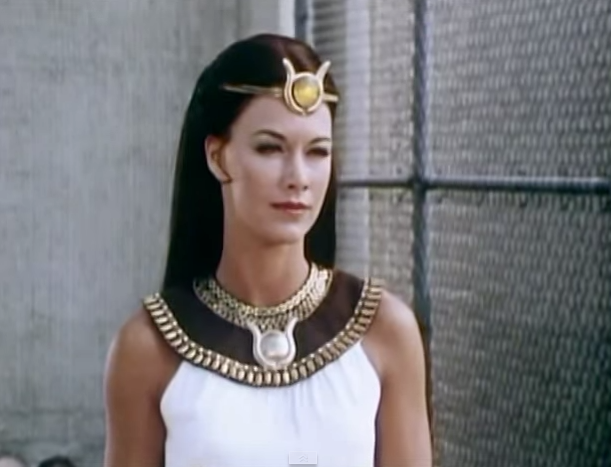 In fact, Isis is really a distaff version of Superman. Andrea Thomas, like Clark Kent, hides behind a pair of glasses. 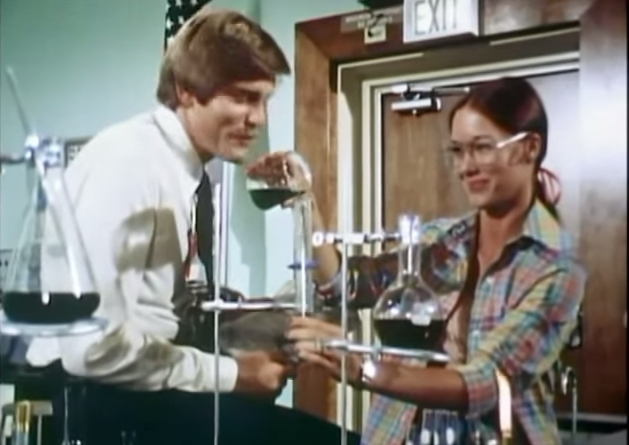 She has a “cover” job for her secret identity, but as a teacher, not a reporter, and even has a kind of Lois Lane figure here in the form of Rick Mason. Like most Filmation programs, Isis also relies heavily on didactic messages that teach children how to become good citizens. Sometimes these messages become down-right oppressive, especially because the “straight” approach to superheroes doesn’t feature the colorful rogue’s gallery you would find on Batman or Electra Girl. “Spots of the Leopard” reveals the general thin-ness and familiarity of the Isis premise. Isis solves a crime, hides her secret identity, and is never questioned by the police or others about her activities stopping criminals. It’s very two-dimensional. 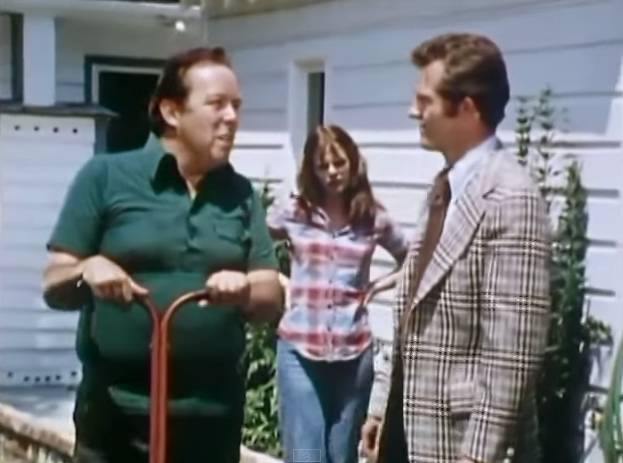 Yet this is not a particularly bad episode of the series because Lou Frizell gives a memorable, strong performance as Chuck Nelson, the Dad who has done bad, and is trying to redeem himself. Also, the criminal -- the duplicitous insurance agent -- nearly gets away with his plan. Good thing Isis overhears his evil plan. 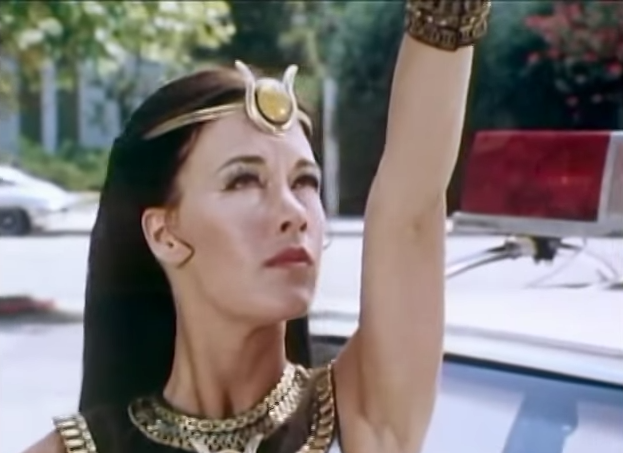 In terms of Isis’s powers, this episode reveals her levitating a car as the villain tries to flee the scene.